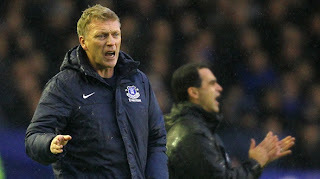 The outpouring of vitriol from Everton fans last weekend must've taken David Moyes aback, but he only has himself to blame. 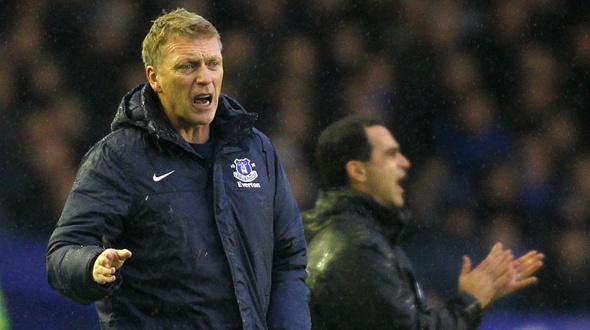 The FA Cup defeat at home to Wigan was a proper beating and many an Evertonian wanted a word. The Gwladys Street faithful seem divided and the loss of respect for their honest, hardworking and long-serving manager is sad but predictable. For an experienced manager it was an extraordinary statement but not without precedent. In 2001 Moyes’ friend and rival Sir Alex Ferguson made a similar gaffe: he said he was going to quit United in a year's time. The team lost form and, crucially, Sir Alex lost the ability to impose discipline on his squad. United finished third, in a four year stretch where there were two other third-placed seasons too. 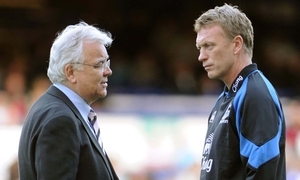 More uncertain individual and collective performances could be avoided by the signing of a new Goodison contract - failing that the Everton chairman Bill Kenwright could pull the same stunt as Peter Kenyon did at United. The spur for Sir Alex’s change of mind was the chief executive’s plan to replace him with Sven Goran Eriksson. Ferguson, Arsene Wenger and Moyes are the three longest serving managers in English professional football; they have earned the rare right to decide whether to stay or go. Every manager, though, has a shelf life and, with his ill-timed statement, Moyes gave the players a marker pen and asked them to fill out a best before label and stick it on his forehead. The uncertainty surrounding the ownership of Everton must also be wearing for all concerned. Kenwright has been trying to sell the club for years and even though the price is right, around £125 million, there have been no takers. To prospective buyers the club must seem old fashioned and overshadowed. Goodison Park is a classic football ground but matchday income is limited and the near neighbours with their bulging, if slightly dusty, trophy cabinet, American owners and fancy football are more glamorous. It would be like buying Espanyol. With his straightforward, grinding football, the Glaswegian has done his damnedest to elevate Everton above the Red mist. Only Sir Alex can match his three LMA Manager of the Year gongs. His work ethic, eye for a player and man-management are beyond reproach. Many a club, here and abroad, would love a manager of his calibre. Moyes is 50 next month and maybe he has decided it is time to move on. A win at Anfield on May 4th would be a fitting leaving present. One of the big problems in finding a buyer for everton is that their ground is too small. building a new one would cost tens of millions,thus psuhing up the investment even more. everton wont be an attractive buy whilst they remain at goodison, but I doubt the current owners can afford the new ground they need. He deserves a chance at a big club, Jonny. So if he does go I would hope it's not to a club of a similar stature. Only Chelsea are likely to change this summer so does this mean he'll have to go abroad?